[+] Found encrypted data at address 00004000 of length 56131584 bytes - type 1. [+] Opening /private/var/containers/Bundle/Application/41A6836F-CFC9-4DC1-8A9C-ED4DE09F9A66/WeChat.app/WeChat for reading. * for each image that is currently part of the program. 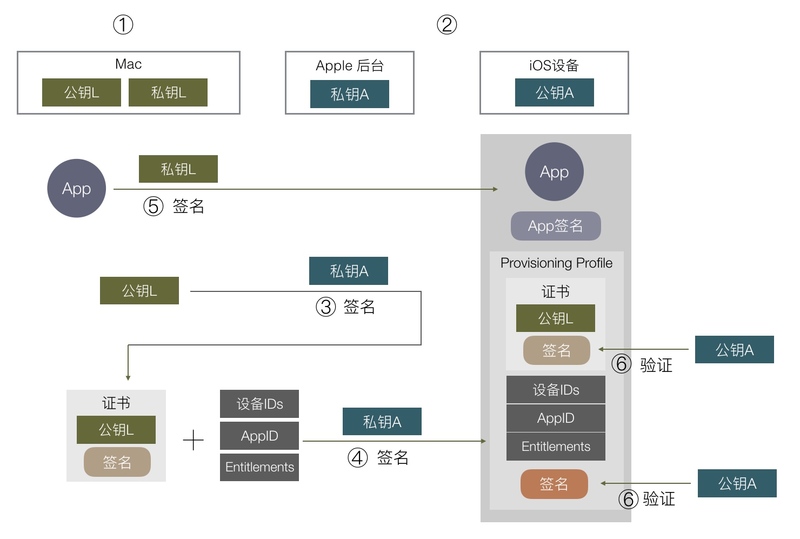 Signing Identity:     "iPhone Developer: 开发者名 (开发者ID)"
Provisioning Profile: "iOS Team Provisioning Profile: com.coder.bk123"
Before creating a CSR, the applicant first generates a key pair, keeping the private key secret. The CSR contains information identifying the applicant (such as a distinguished name in the case of an X.509 certificate) which must be signed using the applicant’s private key. The CSR also contains the public key chosen by the applicant. The CSR may be accompanied by other credentials or proofs of identity required by the certificate authority, and the certificate authority may contact the applicant for further information. 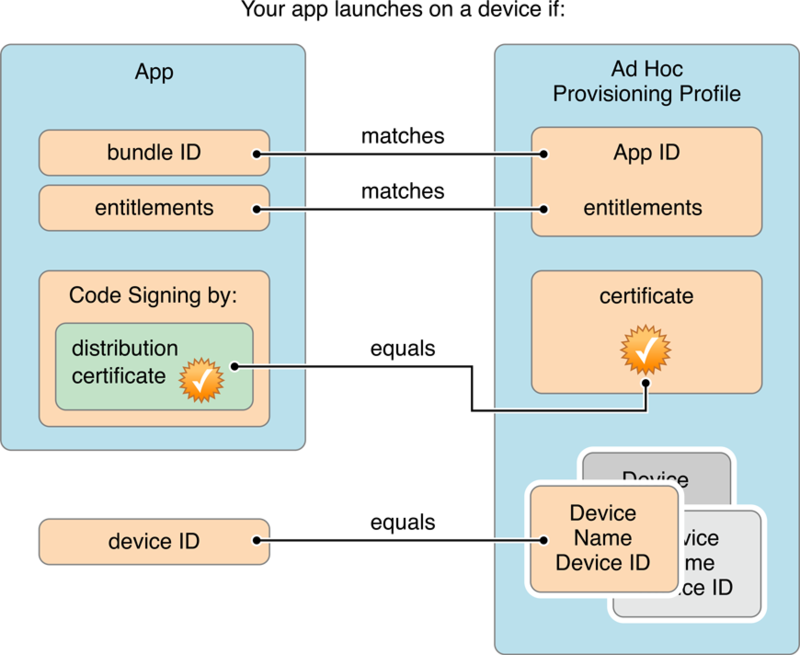 The app successfully launches if the app’s bundle ID matches the App ID, the signature matches the distribution certificate, and the device is in the device list of the ad hoc provisioning profile. To apply the signature, the codesign utility adds the signature directly to the executable file. Mach-O executables. … To apply the signature, the codesign utility adds the signature directly to the executable file. How do you compile and run an objective-c file outside Xcode?